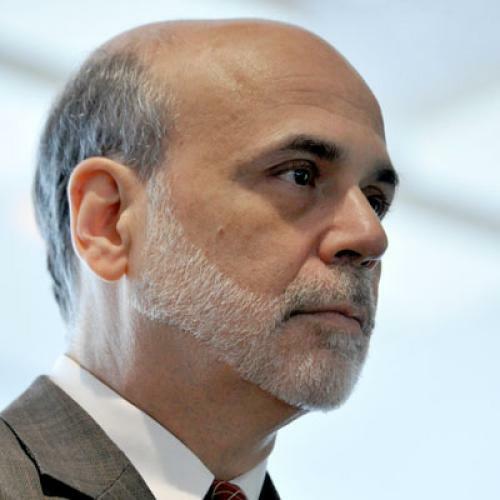 Did the Fed Save Europe? We’re saved! Or at least not doomed. For a minimum of another week or so. That seems to be the message as markets rejoiced after central banks around the world announced a coordinated intervention to inject dollar liquidity into the global financial system. But what does this mean exactly—and how much will it matter? European banks need dollars. A significant portion of their business consists of making loans in dollars, which they typically first borrow from abroad. Unfortunately, American money-market funds—which are a key source of dollars for European banks—have largely retreated from the continent since the summer, as the worsening debt crisis has made European banks look decidedly riskier. That’s left European banks in an even more vulnerable position—and, at least in this case, the ECB can’t do much to help, since they can only print euros, and not dollars (not that the ECB is amenable to printing money anyway). That’s where the Federal Reserve comes in. The Fed can set up so-called swap lines with central banks like the ECB, where the Fed gives them dollars in return for, in this case, euros. The most recent move sharply reduced the cost of these swaps for European banks—so much so that, as FT Alphaville pointed out, they can borrow dollars from the Fed at a cheaper rate than can American banks. This rock-bottom financing will certainly ease the intense strain European banks have been under lately. But it does nothing about the doom loop currently torpedoing Europe. This vicious circle between banks and sovereigns is relatively simple: as interest rates on European sovereign bonds soar, banks that hold those bonds take a capital hit. Of course, the shakier banks appear, the more markets assume states will eventually have to bail them out—which pushes up sovereign borrowing costs even more. And on it goes. Only the ECB can short-circuit this destructive cycle by backstopping European states with promises of unlimited liquidity. The hard-money ECB has been unwilling to do this. There are hopeful signs, though, that the ECB may soon change course. So far, the ECB has been reluctant to intervene in sovereign debt markets due to concerns about moral hazard: they don’t want to eliminate the incentive for Italy, et. al. to rein in deficits and implement structural reforms. But even the ECB recognizes that this cannot continue. Inaction risks complete collapse. There have been whispers that if Eurozone leaders credibly commit to tighter fiscal rules when they meet on December 9th, the ECB may be willing to set a ceiling on yields for troubled countries as a “reform dividend.” This would presumably end the panic. But ten days is a long time to wait considering the perilous state of European banks. Indeed, markets are so on edge that a wholly unsubstantiated post saying a major French bank came near failing briefly caused a stir. The Fed’s new swap lines should buy time, but they won’t solve the underlying problem. Ultra-cheap dollars won’t save the world, but they will give the ECB a chance to do so.